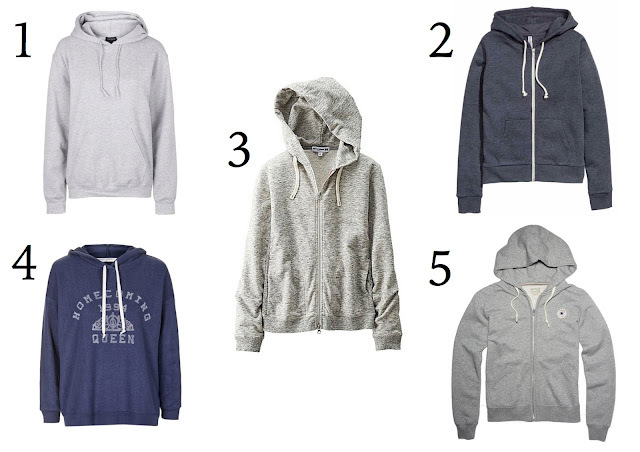 I do love the good old hoodie, a wardrobe essential that's versatile and comfortable. Maybe not the most glamorous item, usually worn for the gym or in the comfort of your home, but this 90's trend has come back as a fashion statement spotted on celebs and fashionistas. My husband purchased a couple of hoodies from H&M the other day, I guess as his wife I am obliged to borrow them, but he's seems protective over them already asking me why I'm taking a photo of his hoodies!! These retail at £14.99 each and comes in a few colours, I've selected some others at the end.